They weren’t supposed to fall in love. Now dark forces conspire to keep them apart, in this life and the next. Centuries later, Liz finds herself navigating a new life in Hawaii, the land of her ancestors. 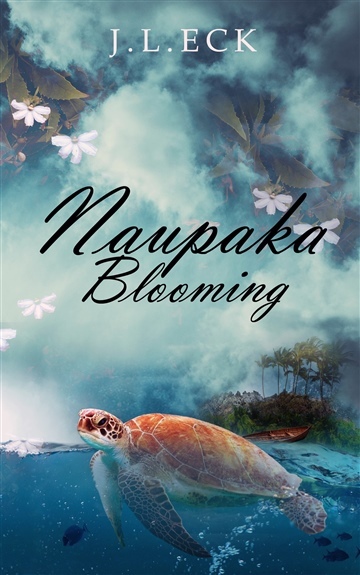 Between making new friends and romantic pursuits, she learns of the naupaka flower and its tragic love story. She has a strange encounter with a sea turtle and then learns that the sea turtle is her ancestors' guardian spirit animal. And then she finds herself intensely drawn to a local man she’s never met before. Or has she? With persistent feelings of deja vu and vivid dreams about what seems to be a prior life, she wonders. But dark forces gather against Liz now, much as they gathered against Leilani so long ago. Will Liz finally find the love she’s always wanted, or will she -- like Leilani before her -- be caught up in a tragedy as old as the naupaka story itself? Elliot, author of a Camino of the Soul.